Looking for the best massage in Round Rock and Austin, Texas? 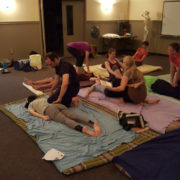 I provide Thai Massage, Yoga, and Yoga Therapy featuring individual sessions and classes with 14 years of clinical experience in chronic pain management. I make this work easy, accessible and affordable for all students and clients. I’ve spent the last 12 years developing the techniques and sequences in this FREE Workbook. 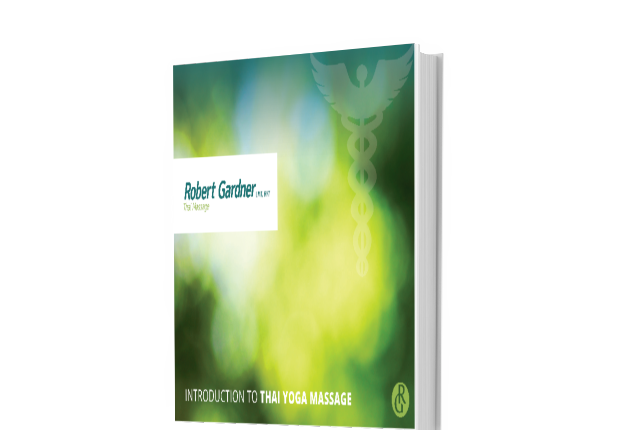 If you enjoy the free content in this workbook, be sure to check out the accompanying Thai Massage Videos available for instant download! All you have to do is sign up for my newsletter that goes out about once a month. You’ll receive an email asking you to confirm your subscription. Once you opt in, you’ll receive an email with a link to download your free workbook. Please note: I hate spam and I don’t share your email with anyone- so rest assured that your information is safe. 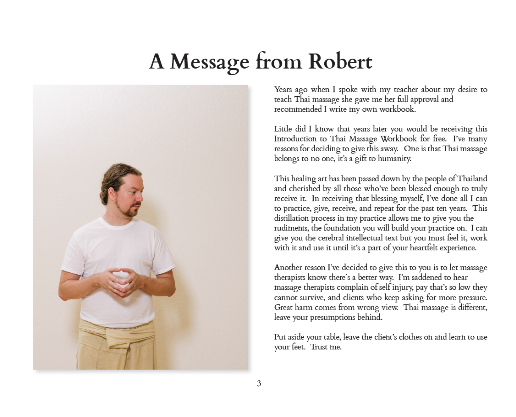 … Robert is an absolute professional, used just the right amount of pressure and gentleness, and stretched me out completely. 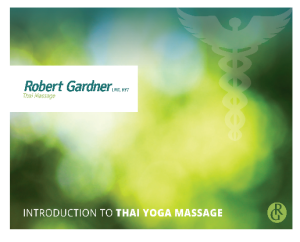 … I’m now spoiled and don’t want any massage other than Thai- or any therapist other than Robert! I highly recommend Robert for both his classes and his massage sessions! 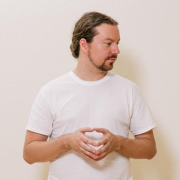 I teach Thai Massage, Yoga, and other classes locally in central Texas as well as all throughout the country. Be sure to check out my new and upcoming classes. Download videos, register for upcoming classes, and sign up for private consulting through the online store. Check back soon for more videos!